In preparation for the ordination of their new priests, the faithful of the Archdiocese of Cincinnati were invited to pray a Novena for Priestly Ordination that was lead by the four deacons who were preparing to be ordained (on May 19th)— Fr. Craig Best, Fr. Jarred Kohn, Fr. Andrew Smith and Fr. Jacob Willig (RE Alumni 2014). 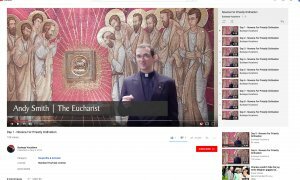 Although their ordination has passed, we can use these novena prayers to pray for those who will be ordained in other dioceses and in thanksgiving for all the recently ordained. 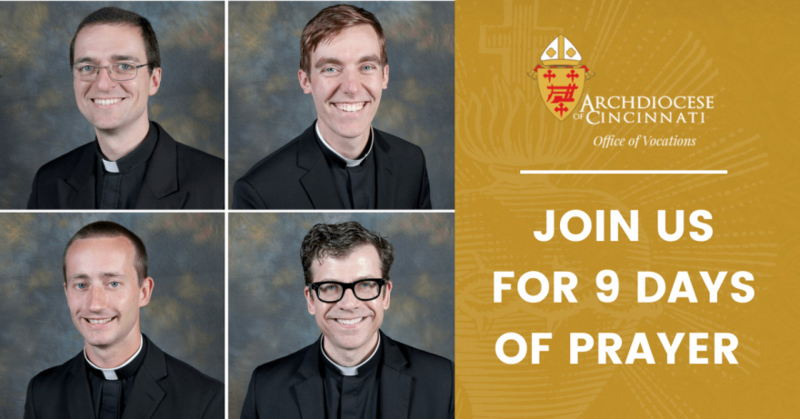 It is with our prayer that we can support them most as they begin their priestly ministry.